I will be reviewing the Niacinamide 10% + Zinc 1% which is described as a ‘high-strength vitamin and mineral blemish formula.’ I purchased this back in December along with The Ordinary Vitamin C Suspension (we may have a review on this), I used it here and there when I got it but I didn’t start consistently using it until the end of March and I finished the bottle 11 days into June. 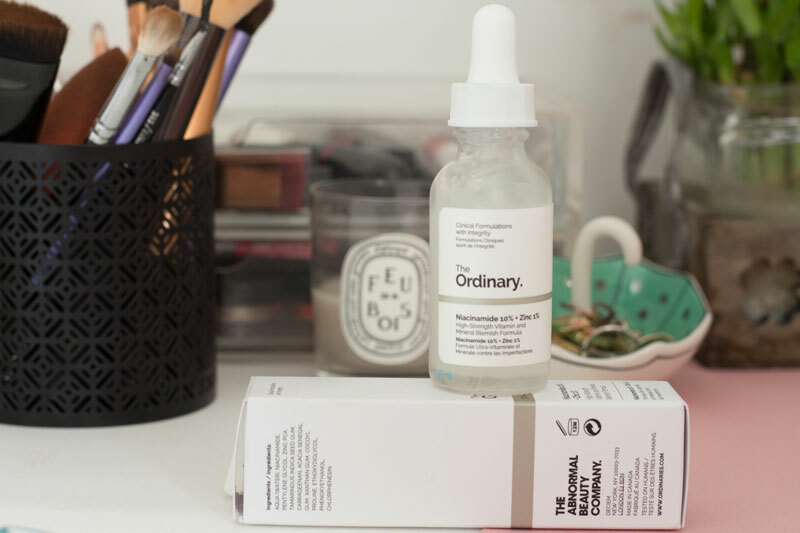 So, what is Niacinamide and what does it do? 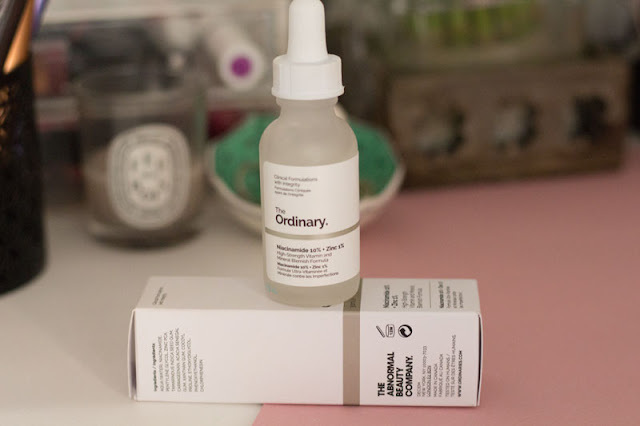 I had no idea what Niacinamide was until I was browsing The Ordinary’s website, I looked at a lot of things and in the end this really stood out to me, I hadn’t heard this ingredient before (then again I haven’t heard about most of the ingredients on their website) but it seemed to target the concerns I had. 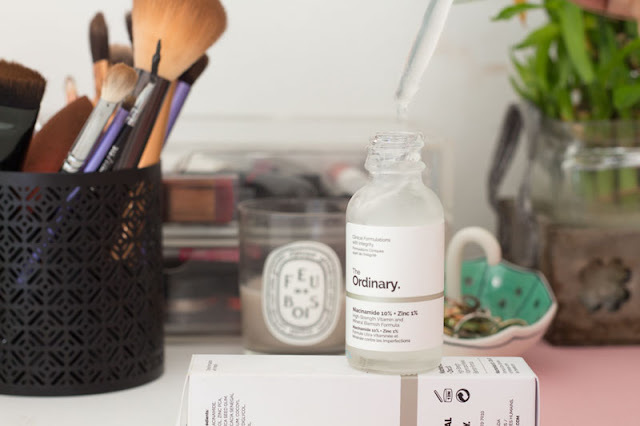 Niacinamide is vitamin B3 and an antioxidant and the product from The Ordinary includes a high concentration of this and zinc to help with congested skin and blemishes. The Niacinamide helps to balance your skin so it’s meant to be great if you have oily skin, it also works to strengthen your skin by reducing the water loss. Studies show that niacinamide can help with hyperpigmentation and improve the skin's elasticity, helping with fine lines and wrinkles. Niacinamide is a lot in Korean skincare. Zinc is also an antioxidant and it’s in one of my favourite skincare products – Serozinc by La Roche Pozay. Zinc helps to sooth your skin and that’s why it’s great for blemish prone skin. 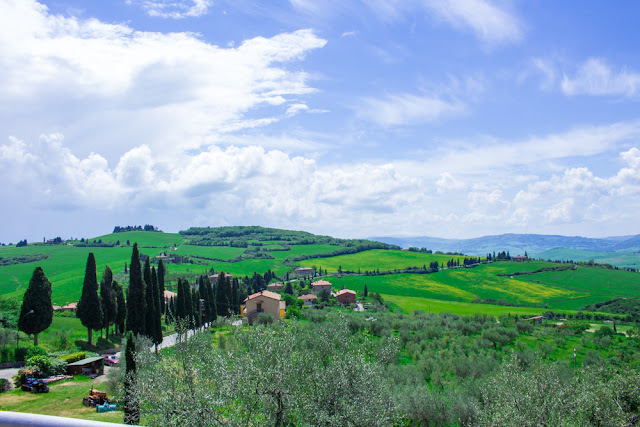 Being an antioxidant, it protects your skin from environmental damage and generally just make your skin more healthy and balanced. So how did I find the product? As I mentioned above I used it on and off in January until the end of March. After that I decided to give it a proper shot and had my whole recording system down in my bullet journal, so I could see when I was using it. I would use it every day but have one evening off and I mostly stuck to that. The instructions state that you should apply this morning and evening but I only applied this in the morning. I actually hate added steps in my skincare in the morning, I have 4 products I use (although I have recently introduced a new one that you’ll hear about soon) and I don’t like messing with it. So I only used this in the evening. The other reason for this is that this product piles up so I wouldn’t have even wanted to use it during the way. No matter how much I seemed to use I would still end up with little clumps somewhere because it decided to bunch up, it wasn’t that much of an issue but definitely not a great thing. The product has no smell which is perfectly fine by me. It comes in a simple bottle with a pipette and you just squeeze a couple of drops out and apply it straight to your face. When you’re nearing the end of the bottle you will have to pour the product directly into your hands as the pipette doesn’t reach down far enough. You get 30ml with this product lasted me about 6 months but that’s factoring the fact that in the beginning, I didn’t use it much AND that I didn’t use it day and night. Results for this were meh, I just didn’t feel like it made a significant difference to my skin. At one point I did think it was helping with my pores but after a month or so nope, they were right back to being crap. I would also find if I didn’t use this for two days my pores were really bad, so maybe it did help to some extent but it wasn’t ground-breaking. After doing some more digging about The Ordinary and the products I learned that you’re supposed to essentially buy a couple of products and cocktail them together to create the perfect regime for yourself. I think I had I known this and used it with two other products I might have gotten some great results. Occasionally I used it with Vitamin C suspension I purchased but I really haven’t been consistent with the Vitamin C. Overall I’m not impressed with the results of this, but I would purchase it again to try it with other products. Considering the costs of these are all under £10 buy three would still be less than buying into some of these expensive brands that contain the active ingredient. I wouldn’t say run out and buy this though as I think there are other products from The Ordinary that you can try, that address these concerns. 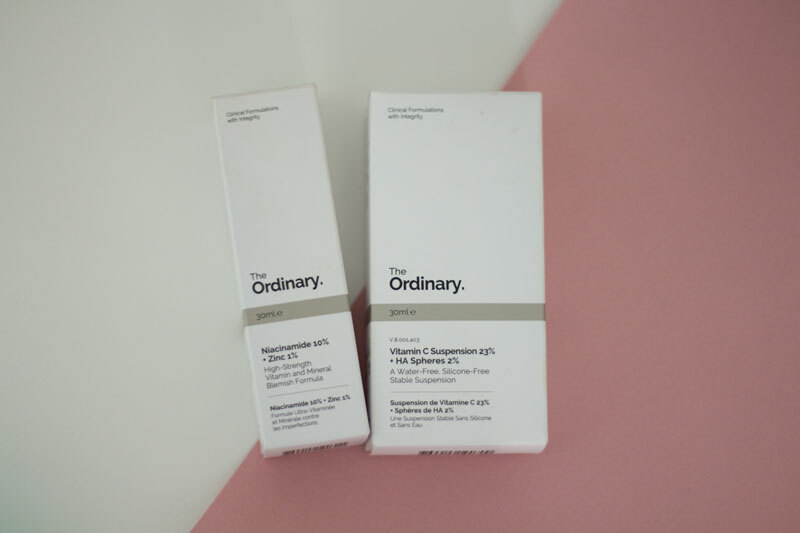 I have actually purchased two other products from The Ordinary after some more research and I started using these at the beginning of June. Now that I know these things are meant to work in conjunction with each other, I’m trying it out. The two I purchased are Alpha Arbutin 2% + HA (helps with dark spots and hyperpigmentation) and Alpha Lipoic Acid 5% (for brightening the skin and targeting signs of ageing). I’m also interested in getting the “Buffet” which is marketed as multi-technology peptide serum. Have you tried anything from The Ordinary? I would love to know what people think of their products!